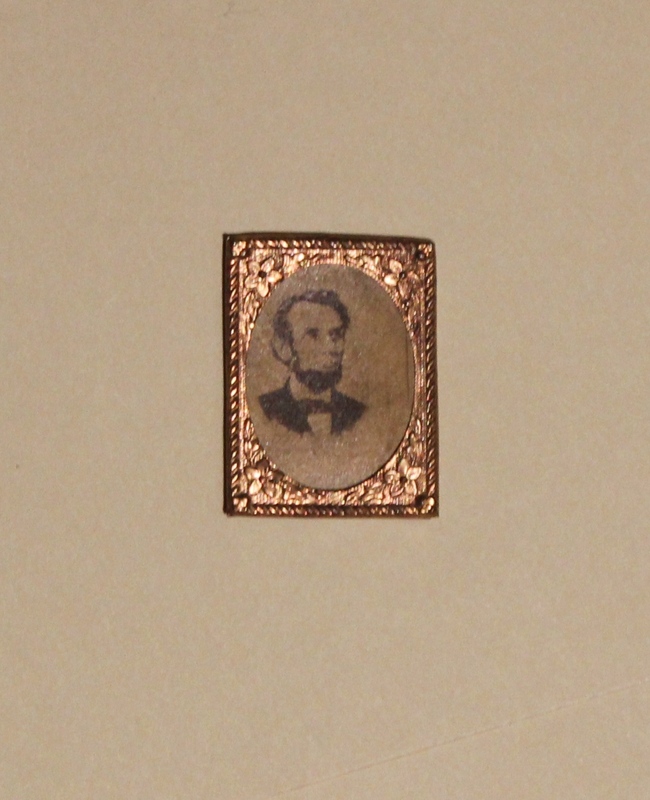 This copper framed, photographic portrait of Lincoln was worn by supporters during the President's visits to Philadelphia and by mourners attending the funeral in April 1865. W.B. Goodall donated this badge to the Union League of Philadelphia in 1948.